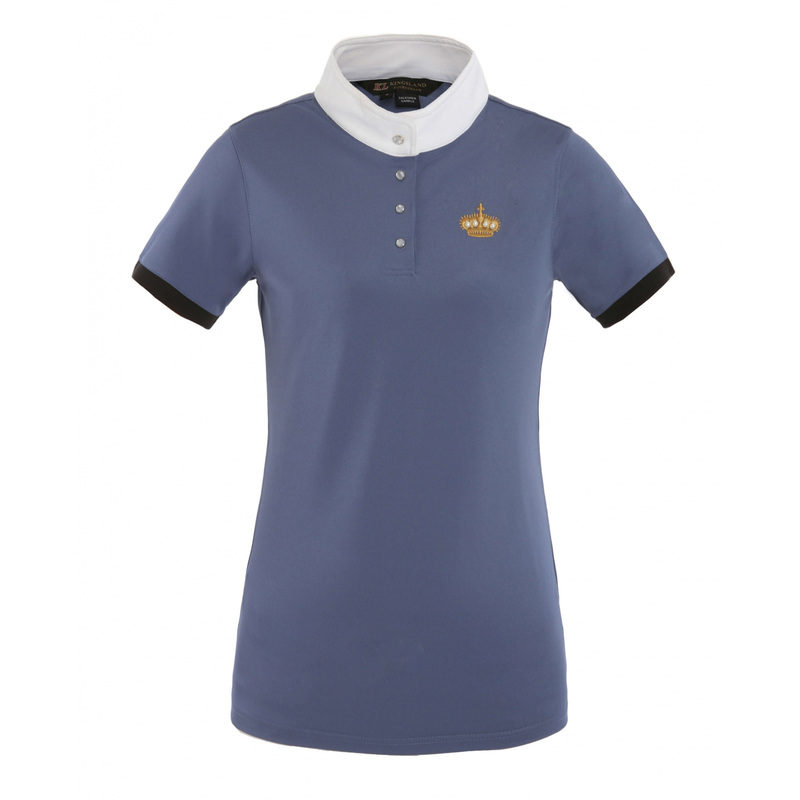 Kara ladies show shirt with pearl buttons on the collar. 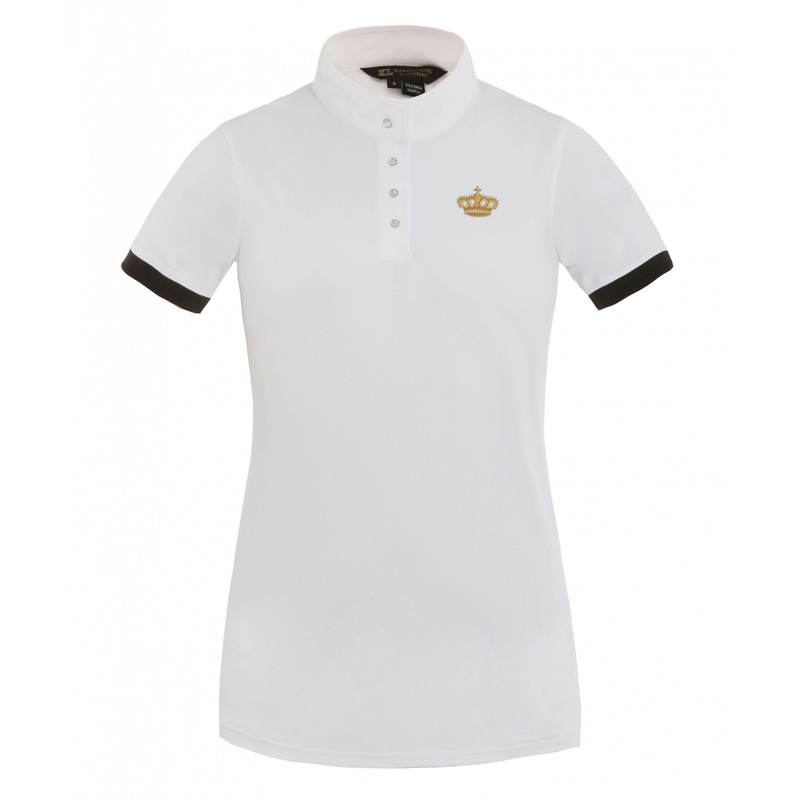 on the left chest there is a embroidered KINGSLAND logo with crown and pearls motif. 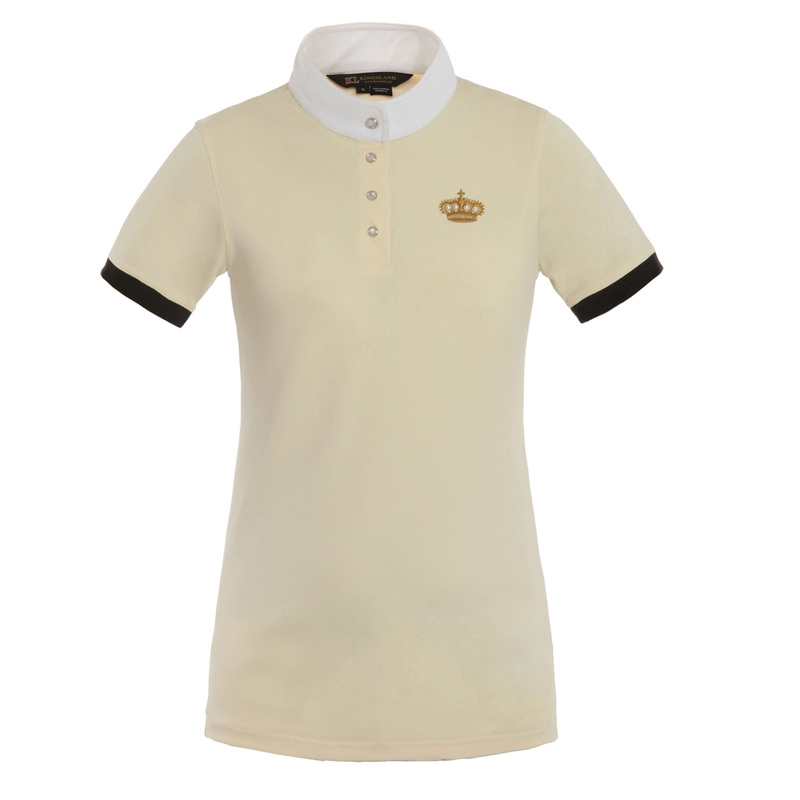 On the sleeve gold KINGSLAND print.